As part of my not-very-working diet regime, I have been eating homemade granola and chia seeds with Greek yogurt for breakfast/brunch almost everyday. But once again, I got a little sick of this breakfast (it’s good to have changes once in a while, no?) 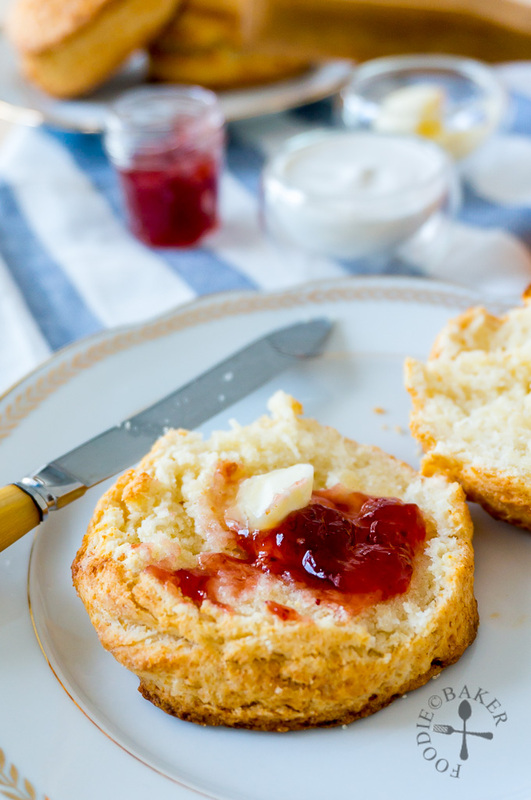 and I was so craving for something warm – hence these cream scones! A scone is a type of quick bread originating from the UK made with baking powder as a leavening agent. 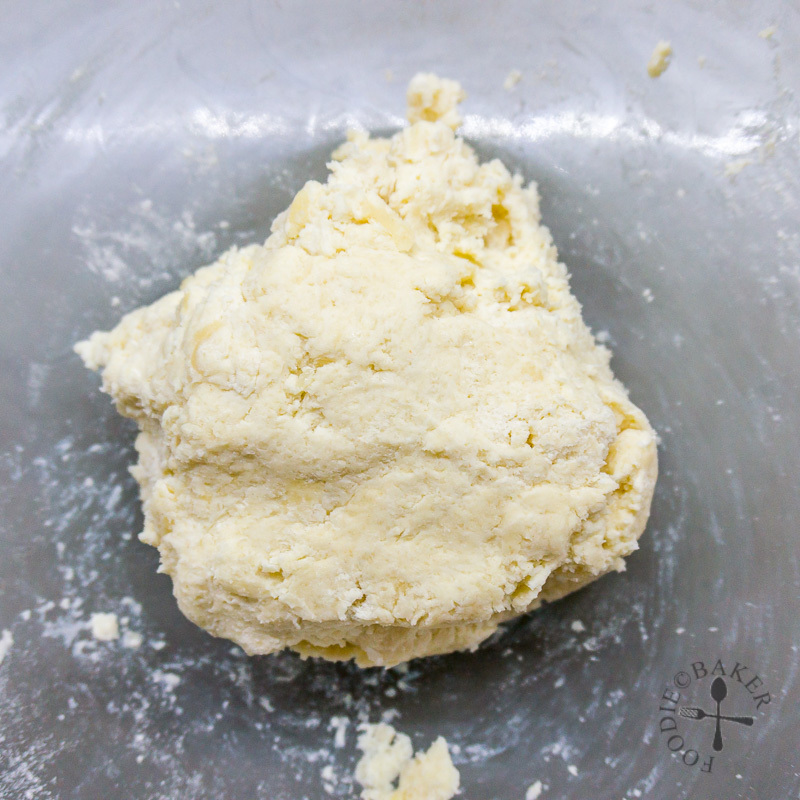 The really traditional ones (or classic ones) require cold butter to be cut into the flour to make crumbs before liquids are mixed in to form a dough. Care must be taken to not over knead the dough so that it forms a tender, light and flaky crust during baking. Sorry – but I’m really not one to be known as a delicate person. 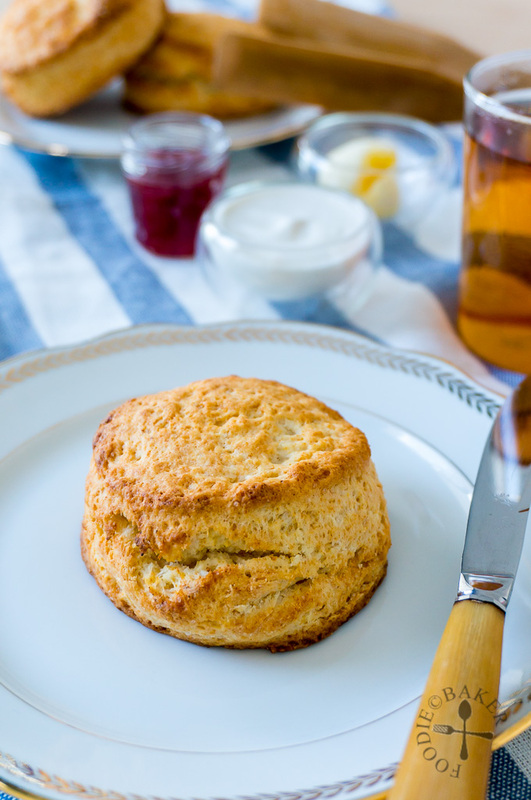 Perhaps one day I will try to be a delicate person and make the classic scones, but with these easy cream scones that take only 30 minutes from start to finish (45 minutes if you count in the time needed to devour them), I know I will be making them very often! Cream scones rising tall, ready to be devoured… by me! 3) And cream. 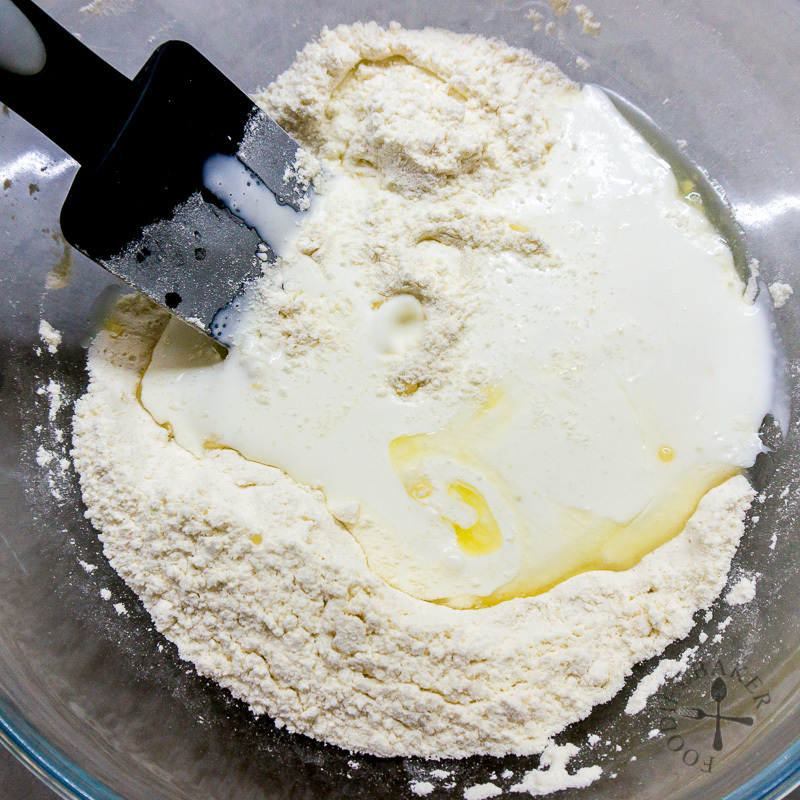 4) Mix with a spatula or a wooden spoon until a dough forms. 5) Dust the countertop lightly with flour and turn out the dough. Knead gently until the dough is almost evenly coloured. 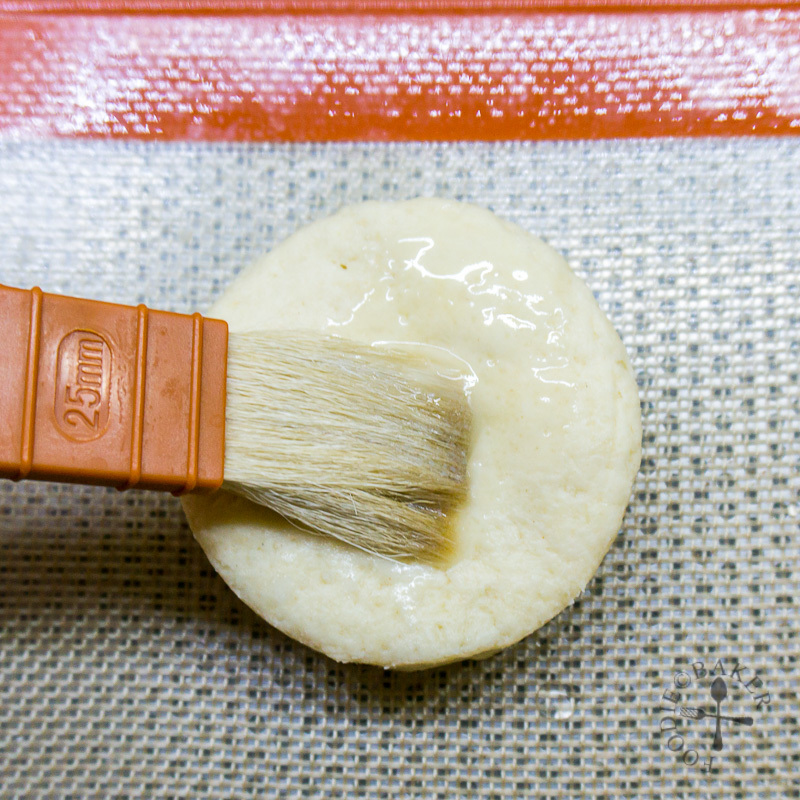 6) Roll out the dough until it's about 3/4-inch (2-cm) thick. 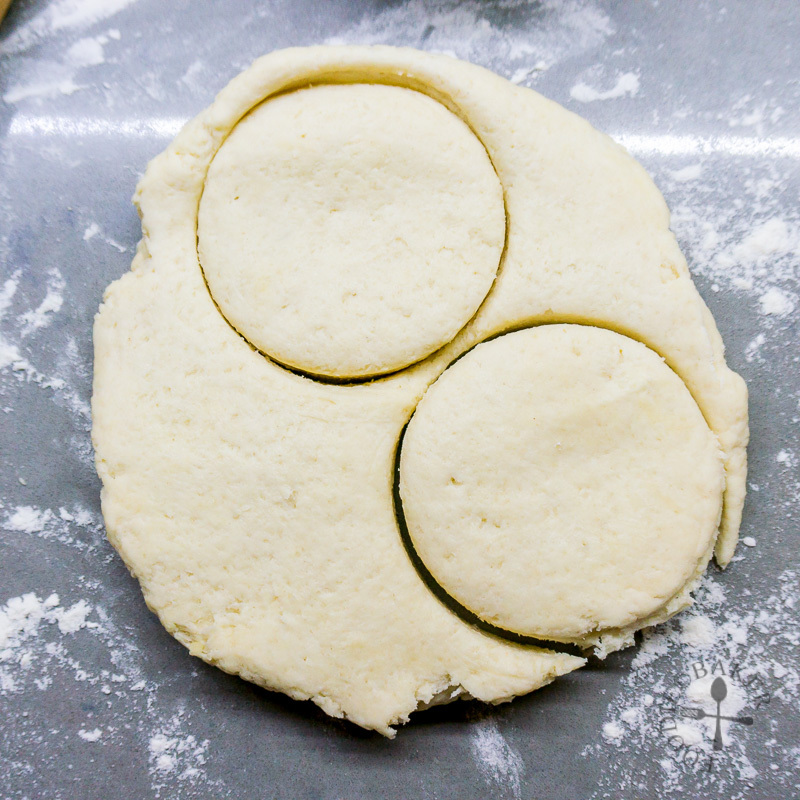 Use a 3-inch (7.5-cm) round cutter and cut out the scones. 7) Transfer the scones onto the baking sheet. 8) Brush the top of the scones with the remaining butter. 9) Sprinkle with the demerara sugar and send them to the oven! 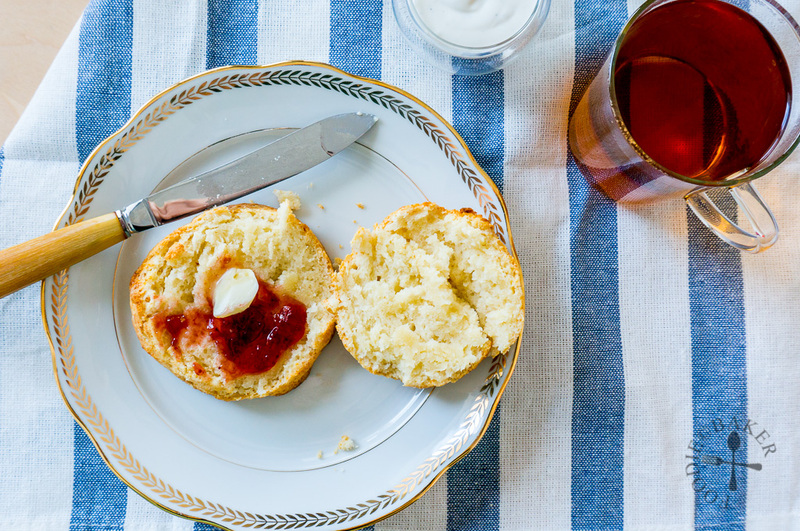 Smother with jam, butter and cream with a cup of tea on the side… mmm! Inactive time: 5 minute to cool the scones! Preheat oven to 220C / 425F. 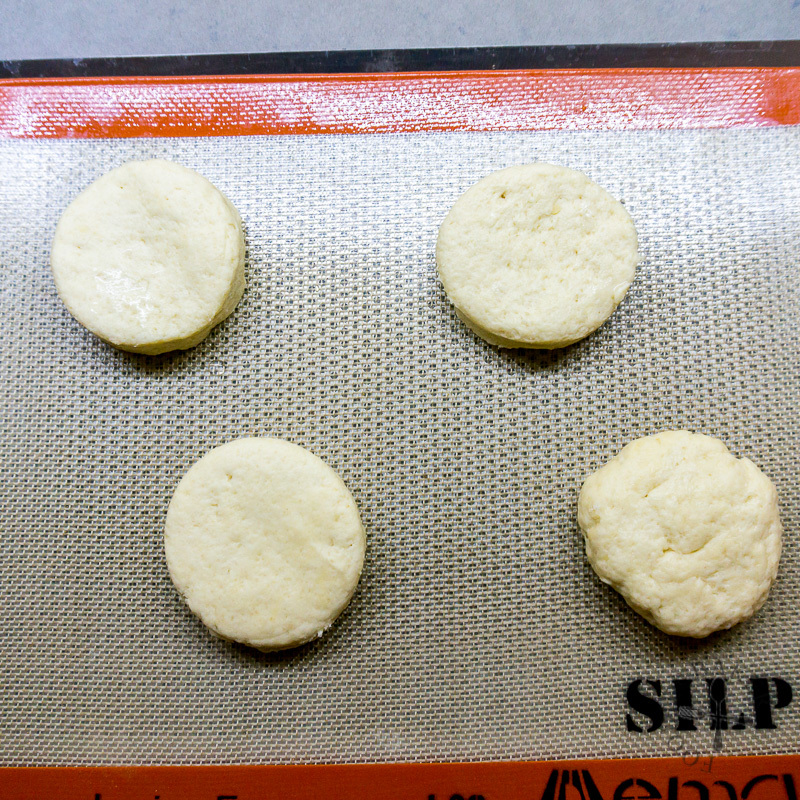 Line a baking sheet with parchment paper / silpat. Combine flour, baking powder and fleur de sel (or salt) in a mixing bowl. 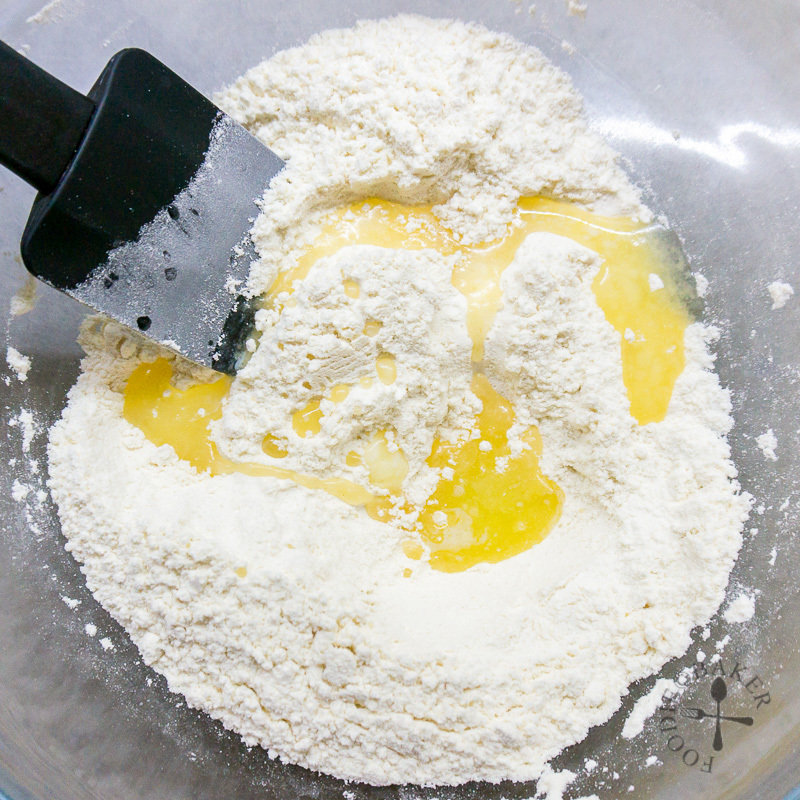 Mix well to evenly distribute the baking powder and salt. Add in 1 tablespoon of melted butter and the cream. Mix with a spatula or a wooden spoon until a dough forms. Dust the countertop lightly with flour and turn out the dough. Knead gently until the dough is almost evenly coloured. Don't do this too many times or the scones will become tough, about 5 or 6 kneads is all you need. Dust a rolling pin lightly with flour and roll out the dough until it's about ¾-inch (2-cm) thick. Use a 3-inch (7.5-cm) round cutter and cut out rounds. You should be able to get 2 scones. Gather the scraps together into a ball, roll it out again and cut out one more scone. 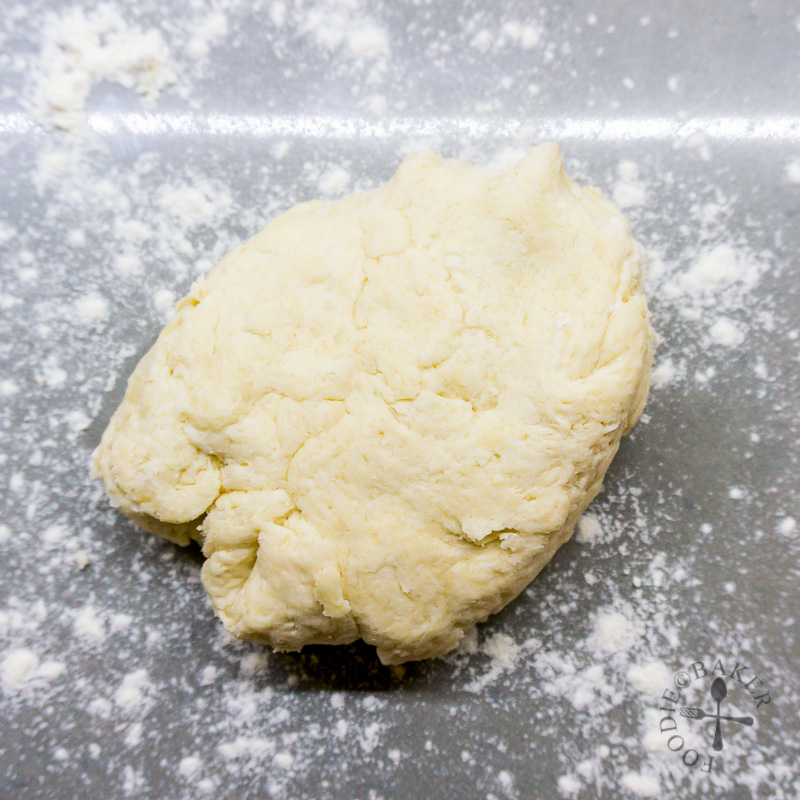 Shape the remaining dough into a ball and pat it to flatten it slightly. You will end up with 4 scones. Transfer the scones onto the baking sheet. Brush the top of the scones with the remaining butter and sprinkle with the demerara sugar if using. Bake the scones for 10 minutes, turn the tray 180 degrees and bake for another 5 minutes until the top is golden brown and well-risen. 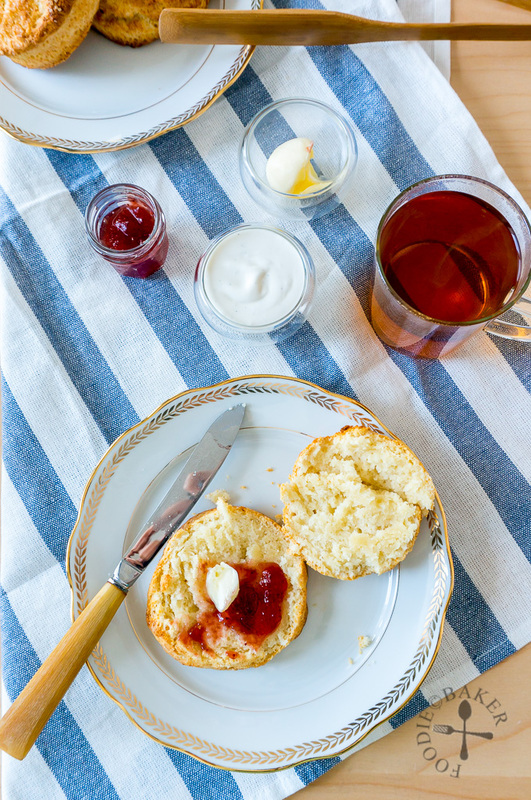 While the scones are baking, make your whipped cream and tea (or coffee)! Place the baking sheet on a wire rack to cool for 5 minutes, and serve immediately with jam, butter, cream and tea/coffee. - This recipe makes 4 3-inch (7.5-cm) scones and should serve 2. However, the scones are a little on the huge side - I was super stuffed after eating 2 of the scones. 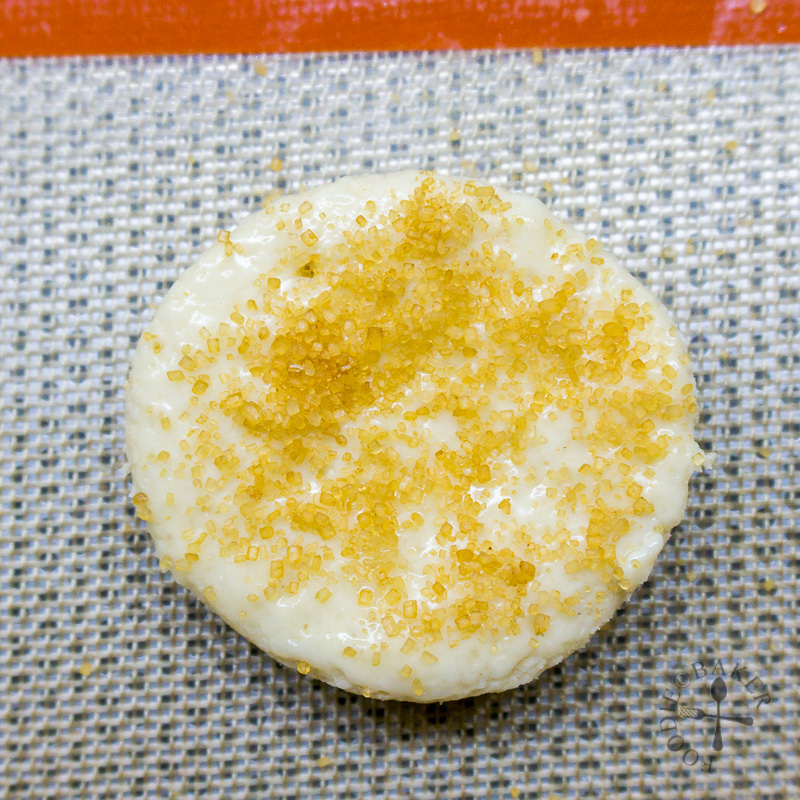 So if you are a small eater, use a smaller cutter - 2 to 2.5-inch (5 to 6.5-cm) and adjust the baking time accordingly. - As quite a lot of baking powder is used, try to use aluminium-free baking powder so the scones will not have a metallic taste. 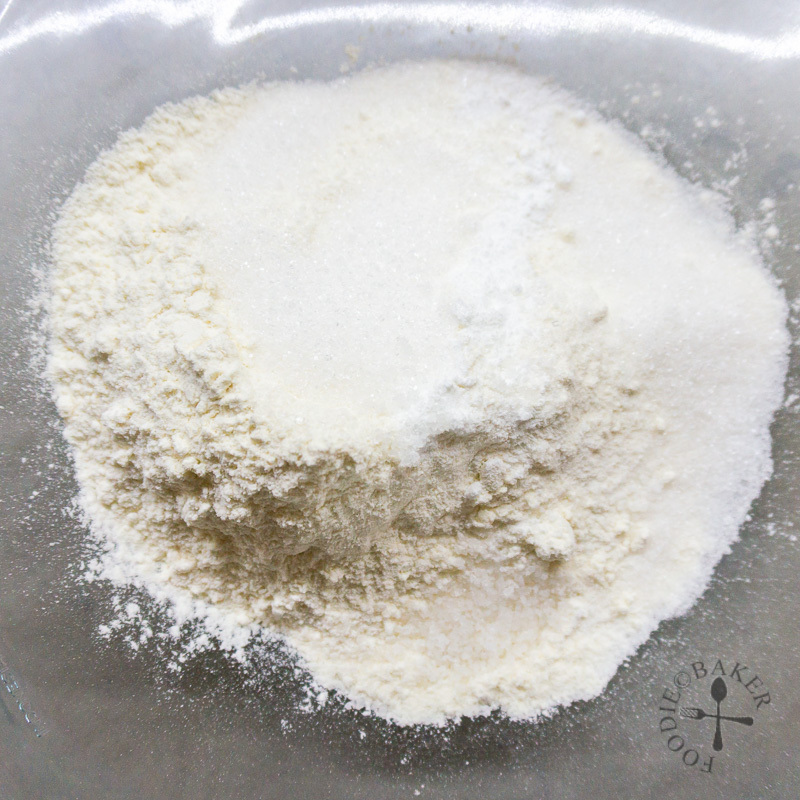 This type of baking powder can be easily obtained from baking shops. - The fleur de sel gives the scones a nice hint of pleasant saltiness in certain parts of the scones. Use coarse salt for the same result but if you want the scones to taste even throughout, use fine salt. - If the top of the scones are smooth, it is less likely to crack on top. - You can easily halve, double, triple the recipe! - The scones are best eaten on the day they are made as they will become stale and hard the next day. But if you still end up with leftover scones, keep them in an airtight container for up to 2 days. Rewarm and soften the scones by microwaving them on High for 20 seconds. Thanks Gloria! I’m glad I’m not the only one who love scones! Love scones! I really love the fact that you got the time down to make these delicious little treats. Thanks Bobbi! Yes I’m glad I’m back on the baking routine!